I love to cook. I hate to clean. I will grudgingly clean my messes after I make them, and have recently learned to clean as I cook, which saves time in the end, but I still hate it. Needless to say, aside from the grate, I have not cleaned my gas grill in more than a year. Unfortunately, after all that time, the greasy build up is volatile, waiting for the right moment to ignite. Have you ever looked down into the guts of your grill and seen the nastiness waiting below? I use my grill frequently, and so I had more than a year of melted fat, carbonized grease, and mildly burnt meat parts, all built into a thick layer of detritus coating the bottom. The way my grill is built, I would have to mildly exert myself to see the bottom - very mildly; the grates and the heat diffusers partially block the view. And, I would have to be motivated to acknowledge how disgusting it is. The grossness just gathers, fuel for a future fire. I think the same can be said about ourselves. If we looked deep inside, would we see the leavings of arguments unresolved, family and friend drama, social opinions we aren’t sure we really believe anymore? These are all the elements of yesterday’s version of us. As we grow and move towards who we are, we leave the remnants of who we were behind. Sometimes, these little bits are just as flammable as the nast collected at the bottom of my grill. The longer we ignore them, the more potent they become. One of my menu items for this week was Teriyaki Chicken. I use a recipe from my Dad, picked up from when we lived in Hawaii. The recipe is simple. 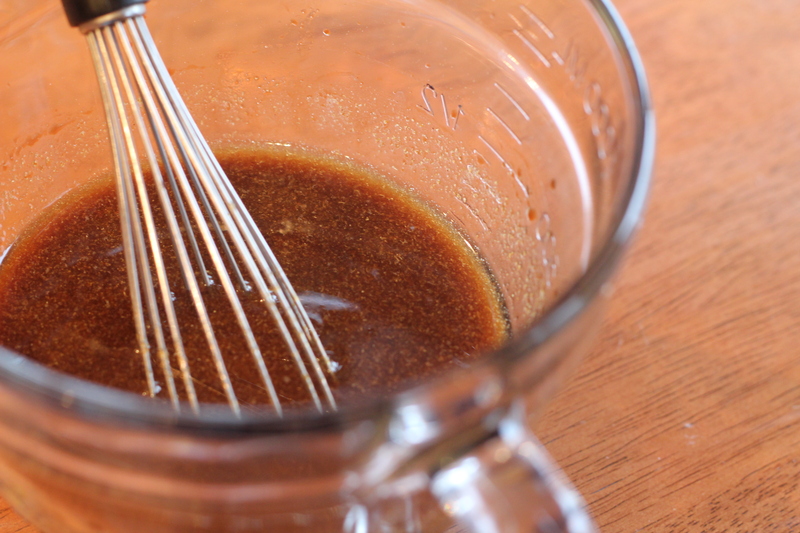 Combine soy sauce, a homemade weak simple syrup, white onion, ginger, and garlic into a marinade. Marinate chicken thighs and drumsticks overnight. Grill. Be prepared for flareups from melting chicken fat and dripping juice (the sugar). I was ready to go. I had my tongs for turning the chicken after eight minutes. I had my timer. I had my spray bottle for squirting the flareups. I put the chicken on. We are usually ready for personal flareups. We know how to put out small fires and handle small dramas life throws at us. Every once in a while a larger piece of our past catches on fire, but we deal with these as they come. We don’t think about everything else lining the bottom, waiting for the big explosion. The small flames are expected and manageable. With a squirt here or a squirt there, I put out the fires quickly. If they flare up too much, I move the piece of chicken. This particular batch seemed to flare up quite vigorously, so I moved the chicken into the open spots between heat diffusers. The grease and fat still dripped, but it fell in the depths of the grill instead of onto the diffusers right below. Any flareups would be away from the chicken and wouldn’t lead to charred meat. Smart right? Well, this plan, while seeming intelligent at the time, didn’t end up that way. See, the chicken still dripped. And there were still some flareup on the grate and on the diffusers, just not as many. And I still sprayed them with the squirt bottle. And the water from the squirt bottle would scatter the flaming grease, knocking it to the bottom. Where it would land on freshly dripped grease. Where it would flare. And ignite a year’s worth of fuel. Have you ever seen a grease fire? It is quite magnificent. The way it ignores water as if it isn’t even there. The way it just bigger as it finds more fuel, burning through a year of my laziness. I have seen some spectacular meltdowns in my life and participated in a few. People who haven’t dealt with their own issues, burying them deep below the surface, hoping they won’t ever ignite again. I can remember doing the same thing beforehand. Leaving them there, ignoring the need for a resolution, creates a flammable situation, sure to explode some point down the road. After emptying my squirt bottle to no effect, I ran inside and grabbed the baking soda and dumped it on the flames. It wasn’t enough. Thankfully, we had a second box and I doused the remaining flames with the white powder. My hand has now been forced. If I plan to use my grill again, I have to clean it. We can never plan for the explosion, preparing before hand to manage it. All we can do is deal with it when it arrives. Avoid burying issues; deal with them instead. Look deep, clean out the garbage, take care of yourself. Avoid the fire before it happens.